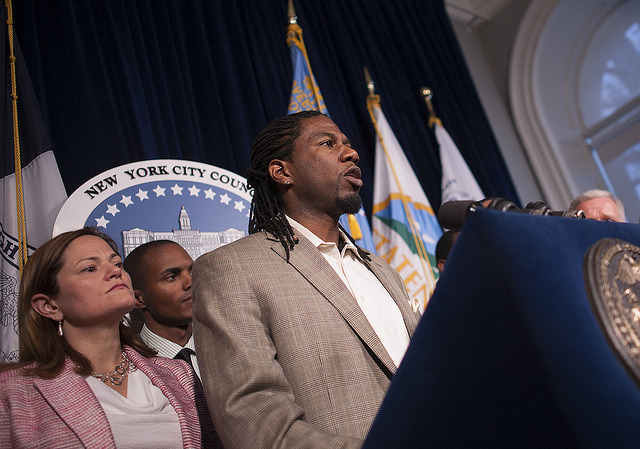 Former Speaker of the New York City Council Melissa Mark-Viverito lost her bid for public advocate in the special election held Tuesday, as Brooklyn City Council Member Jumaane Williams came out on top of a crowded field of candidates to claim victory by an unexpectedly wide margin. Mark-Viverito came in third behind WIlliams and City Council Member Eric Ulrich, the lone Republican elected official in the field of 17 candidates. 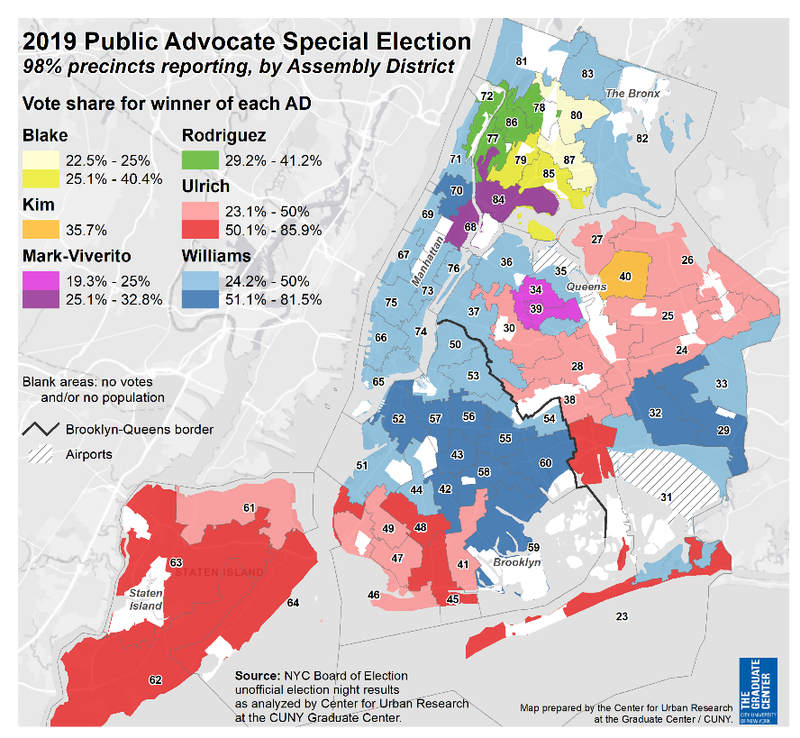 It was the first-ever nonpartisan citywide special election in New York City, decided by an expectedly low turnout of voters. With about 87.5 percent of ballot scanners reported, Mark-Viverito had received about 11% or 39,730 votes, while Williams had just over 33% with 118,979 votes. Ulrich was in between the two at about 19%. At her election night party at the London Irish Pub in East Harlem, part of the district she represented for three terms in the City Council, Mark-Viverito claimed credit for influencing the issues in the public advocate campaign, while acknowledging she had come up short. “[I]n this campaign, we helped change this city in so many important ways,” she said, touting her push for improving the MTA, her advocacy for residents of public housing, her call for taking ICE out of the state’s courts, and spotlighting the lack of diversity in city leadership. On that last point, she seemed most disappointed. “I don’t see myself as a woman reflected in this city right now, and that is troubling,” she said, noting that the three other offices with citywide responsibilities are currently held by white men (Speaker Corey Johnson is the acting public advocate until Williams is sworn in), including Mayor Bill de Blasio and Comptroller Scott Stringer. 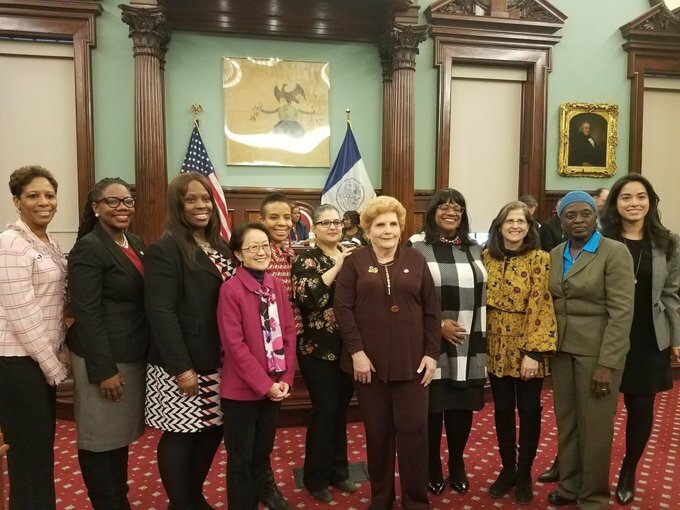 Mark-Viverito encouraged young women to run for elected office, an effort she herself has supported through the 21 in 21 campaign to elect 21 women to the City Council in the 2021 municipal elections. Mark-Viverito could attempt another shot at the public advocate’s seat in the coming months. Under the City Charter, the winner of the special election must defend the seat this year, first in a party primary in June if a challenger emerges and then in the November general election, to serve the remainder of the term that runs through 2021. Letitia James was elected attorney general this past November, creating the public advocate vacancy just one year into her second term in the post. Mark-Viverito did not indicate on Tuesday whether she would seek the primary nomination for public advocate against fellow Democrat Williams, and she refused to take questions from reporters at her event. She did say she had spoken to Williams but she didn’t reveal what she said. In a strange twist, ballot petitioning for the June primary began on Tuesday, as voters went to the polls in the special election. Candidates will have to submit signatures by April 4 to get on the June ballot. Mark-Viverito was one of the leading candidates in the race and had the highest level of experience in city government. She served three terms in the City Council, representing District 8 which covers East Harlem and the South Bronx, before being unanimously elected speaker for her final term, becoming the first Latina to occupy the post. She was also one of only four women on the special election ballot out of 17 candidates, though one of them, Assemblymember Latrice Walker, withdrew from the race weeks ago. Mark-Viverito emphasized that imbalance throughout, and was endorsed by several women’s groups. As speaker, Mark-Viverito had often faced criticism for being too friendly to Mayor Bill de Blasio, who helped her get chosen to lead the 51-member legislative body. But just as she did as her tenure progressed, she spent the public advocate campaign distancing herself from her once-ally in the progressive movement. She pointed to instances when she broke with de Blasio, particularly her push for closing the Rikers Island jail complex, which the mayor eventually adopted and put into motion. She also heralded the Criminal Justice Reform Act, which effectively decriminalized several low-level offenses such as drinking alcohol in public and public urination, despite heavy initial opposition from de Blasio and the NYPD. Mark-Viverito’s campaign made mass transit a top priority, as was clear from the “Fix The MTA” party line she created for the purposes of the nonpartisan election, but she also focused on housing and homelessness, immigrant rights, health care, and education. She largely touted her legislative accomplishments as speaker, which is effectively a citywide position in scope and authority, and promised to continue her unreserved advocacy from the public advocate’s bully pulpit. But those efforts were in vain, at least in terms of the results on Tuesday. While Mark-Viverito has been rumored as a possible 2021 mayoral candidate whether she were to win or lose this special election, she’ll first have to decide whether to run in the primary set to take place June 25 and try to win the public advocate seat that eluded her this time. 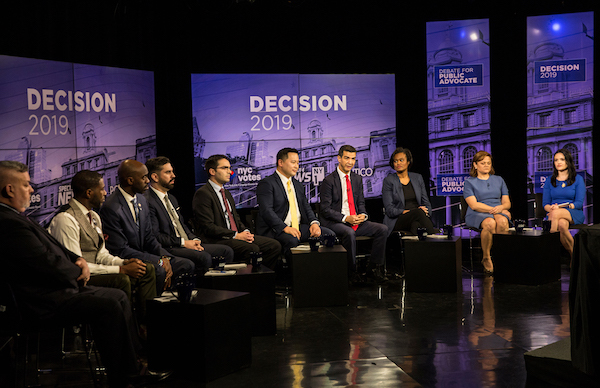 With less than a week until the Tuesday, February 26 special election vote, seven of the 17 candidates who will be on the ballot took the stage at Borough of Manhattan Community College for the second of two official, televised debates, broadcast by NY1. 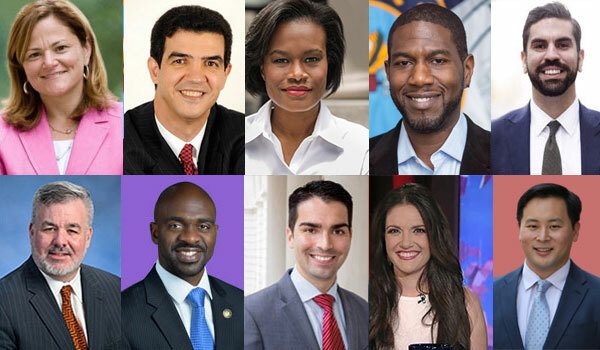 The seven candidates -- Nomiki Konst, Michael Blake, Melissa Mark-Viverito, Dawn Smalls, Rafael Espinal, Jumaane Williams, and Ron Kim -- met the financial and endorsement thresholds set by the city’s Campaign Finance Board. The previous debate, two weeks prior, featured those seven candidates as well as Danny O’Donnell, Ydanis Rodriguez, and Eric Ulrich, the lone Republican and only ardent supporter of Amazon creating a massive campus in Queens among the ten candidates. After opening statements where candidates reiterated their pitches from prior debates, interviews, and local forums, the first question from moderator Errol Louis had the participants weigh in on the collapse of the Amazon deal, which spurred a lengthy conversation, including prolonged cross-talk at one point, and some of the clearest differentiation of the night among seven mostly left-wing Democrats. Konst, Espinal, and Kim continued to argue that a deal to bring Amazon’s “HQ2” to the city should not have been pursued, while the other candidates said it should have been done with both better process and outcomes, in some cases talking about the opportunity in more positive terms than they had before the deal fell apart. There were several tense back-and-forths throughout the hour-and-a-half debate, especially during the “cross-examination” round where candidates each had the chance to ask one opponent a question. That portion repeatedly turned into arguing and, at times, saw the candidate asking a question give a series of attacks before posing their query and the candidate being asked a question deflect by throwing criticism back at the interrogator. 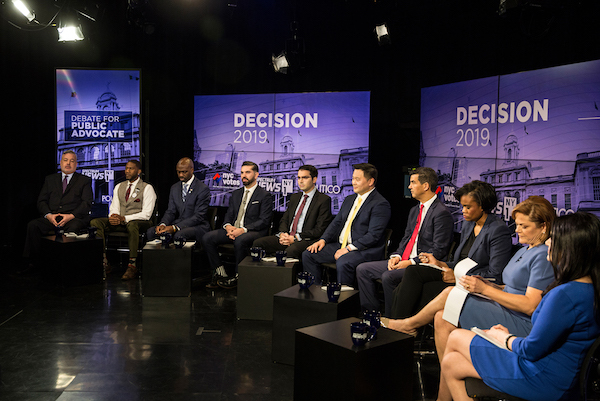 By all measures, Jumaane Williams was treated like the frontrunner that he is widely perceived to be -- several of the other candidates used their questions to target him. Like in the first debate, Mark-Viverito was also the subject of questions and criticism, especially from Konst. Overall, the candidates largely agreed that Airbnb needs to be strongly regulated but that homeowners should be able to rent out a room here and there, and perhaps even their entire apartments; that the mayor’s housing plan needs to do more for low-income New Yorkers; and that homeless shelters need to be equitably distributed throughout the city. They also mostly agreed that undocumented immigrants should be allowed driver’s licenses and municipal voting rights. On the latter, Mark-Viverito said she almost moved a bill as Council speaker, but that given Donald Trump’s rise to the presidency and anti-immigrant policies, advocates asked her not to move forward. Asked about whether Mayor de Blasio is qualified to run for president and should do so, all seven candidates took shots at the mayor, some more harsh than others, and said he needs to focus on problems in the city. Kim said de Blasio is “delusional” if he thinks he’s going to be president. "No, he is not qualified to run for president, he should not run for president," said Blake, who worked for President Barack Obama and is a vice chair with the Democratic National Committee. Like others, Mark-Viverito, a long-time ally of de Blasio who has separated herself from him in recent years, said the mayor needs to focus on running the city, but also said that de Blasio does not really execute unless he’s working on a “pet project” of his own. Several of the candidates were more shy when asked if they had voted for Williams last year when he ran for lieutenant governor. Four didn’t answer: Konst, Mark-Viverito, Blake, and Smalls. Kim and Espinal said they did vote for Williams, who challenged Lt. Gov. Kathy Hochul in the Democratic primary. The debate provided candidates a near-final opportunity to pitch themselves directly to voters and to media that might amplify their message. The public advocate is one of three citywide elected positions, responsible for being a watchdog over city government and an ombudsperson, with the power to introduce legislation to the City Council, and some influence over the public pension system. 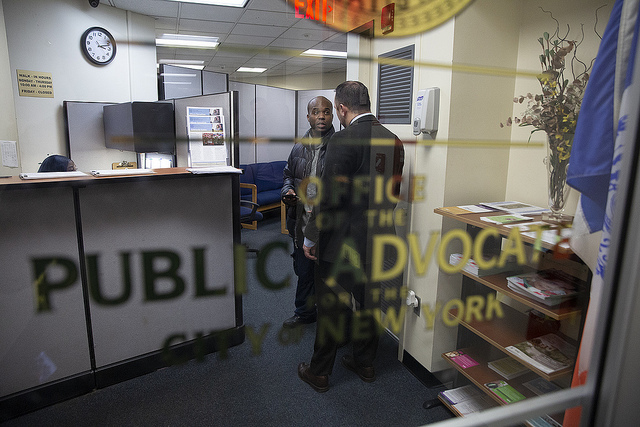 The public advocate is first in line of succession to the mayor if the mayor is unable to finish his or her term. Mark-Viverito touted her career in activism and record as City Council speaker, including her successful pushes toward closing the Rikers Island jails and reforming how low-level offenses are policed and prosecuted in the city. Against attacks from Konst she defended her record on housing, including by citing the “right to counsel” in housing court law that was passed while she was speaker and has helped reduce evictions significantly. Smalls, an attorney with experience at high levels of the federal government, differentiated herself as the only mother and attorney on the stage. She cited her campaign focus on helping homeless families get into housing. “I have experience breaking through bureaucracy to get results and that’s what I want to do for New York,” she said. Espinal, a Brooklyn City Council member who previously served in the state Assembly, cited his experience at two levels of government, and ran through a variety of areas where he believes New York is not “livable” enough and he wants to address, including affordable housing and running small businesses. Williams cited his combination of activism and legislative accomplishments. He touted his work on affordable housing and said the mayor and other elected officials had not fought hard enough to make housing affordable enough for the people who really need it. He attempted to defend himself against attacks from other candidates, particularly as Mark-Viverito again went after him for having staff members and endorsements from several men who have mistreated women. Kim reiterated that he is against “corporate giveaways” and said that while the Amazon deal may have been stopped by strong activism, there is more work to do to address the larger pattern. He called for passage of his new legislation that would stop New York from engaging in interstate bidding for companies, and said the answer is to build economic development capacity in communities. In taking a different approach, Williams said he had been in favor of “engaging” Amazon and wanted “to use the power of the city to see if we can change the worst of their behavior” while attaining jobs for New Yorkers. He, Blake, Smalls, and Mark-Viverito all argued there should have been better leadership by the mayor and the governor. “My criticism of the Amazon deal was always on the process,” said Smalls. Mark-Viverito said the Amazon deal was deeply flawed because it did not address the city’s two major crises: affordable housing and transit. 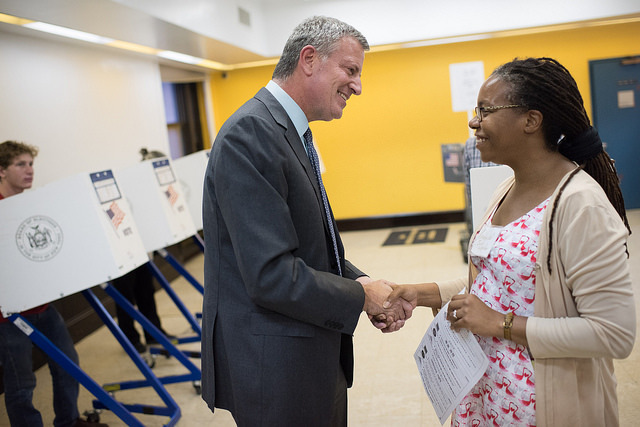 The election is Tuesday and open to all voters across the city. Also on the ballot beyond the ten candidates mentioned earlier are David Eisenbach, Benjamin Yee, Jared Rich, Tony Herbert, Manny Alicandro, Helal Sheikh, and Latrice Walker, though she has dropped from the race.